Improved information and increased awareness of energy and heat usage allows consumers to make more informed decisions about how much energy they use and how they use it. 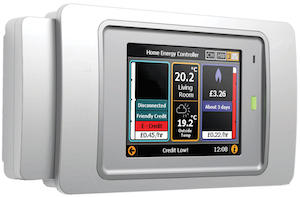 A study by Oxford University, in collaboration with Camden Council, showed that when heat meters were installed and residents were given meaningful data about their heat usage and the associated cost, their consumption decreased significantly. In one estate this resulted in a 30% reduction in CO₂ emission and £400 in costs per household per year.